We explore the welfare implications of agricultural expansion in the Brazilian Amazon by comparing spatially explicit estimates of soybean rents and the value of ecosystem services. Although these estimates are generated from different datasets, models, and estimation techniques, the values are comparable, such that the value of ecosystem services is greater than soybean rents for about 61% of the total area and 24% of the area where soybean rents are positive if protected areas are well enforced. 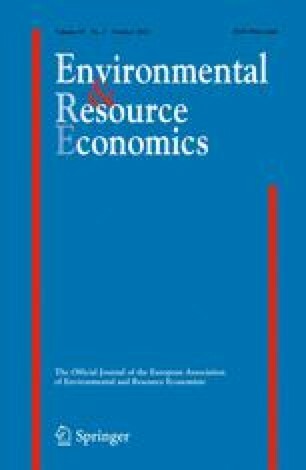 Based on the balance between the benefits and costs of conversion, failure to value ecosystem services reduces total social welfare by 7.13 billion dollars annually relative to an optimum. Policy instruments that internalize the value of ecosystem services via protected lands, land conversion taxes, conservation subsidies, or excise taxes can avoid much of this loss. Regardless of intervention regime, policy makers should be cognizant of the diminishing net benefits of converting natural ecosystems to agriculture. Realizing the final 3.8% requires the conversion of an additional 15% natural ecosystems to soybean production.